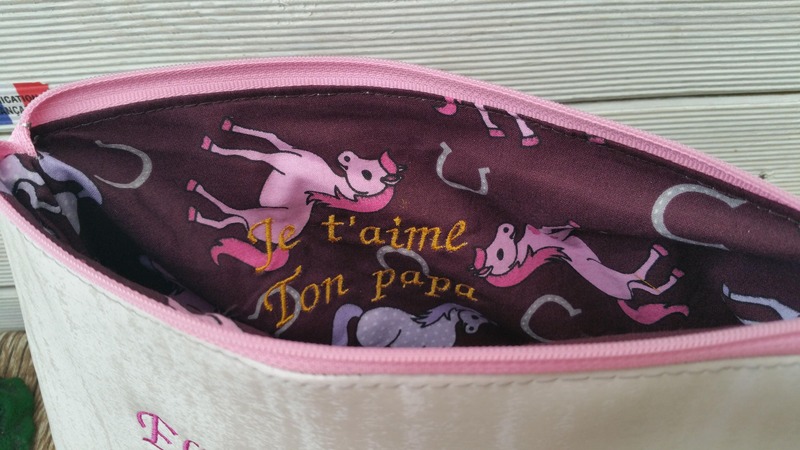 Toilet bag faux leather 25 x 17, woman, girl, child, embroidered, personalized. 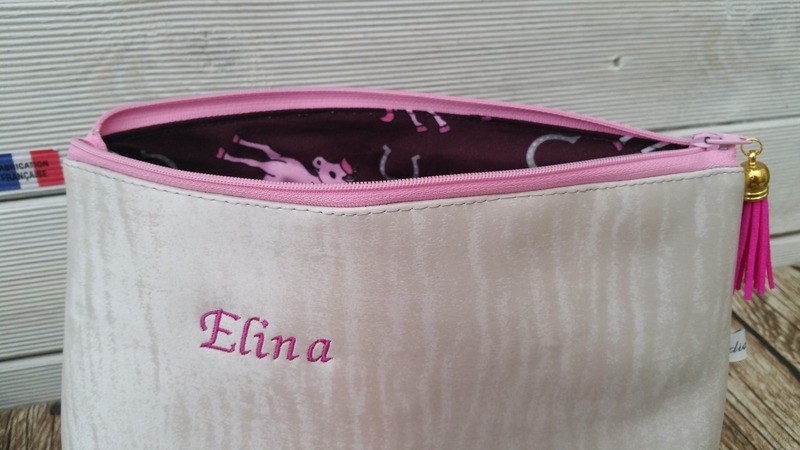 Toiletry Kit embroidered faux leather grey colourway of 25cm x 17cm x 7cm. 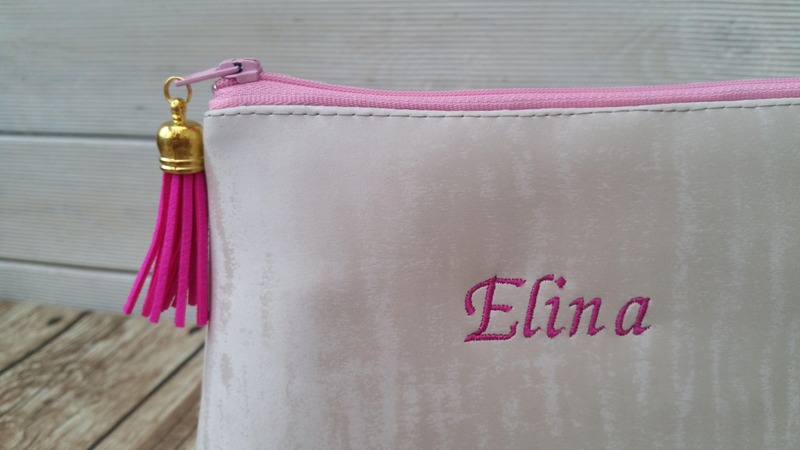 It is closed by a closure zipper with a tassel attached. The Interior is fully lined in matching cotton fabric. 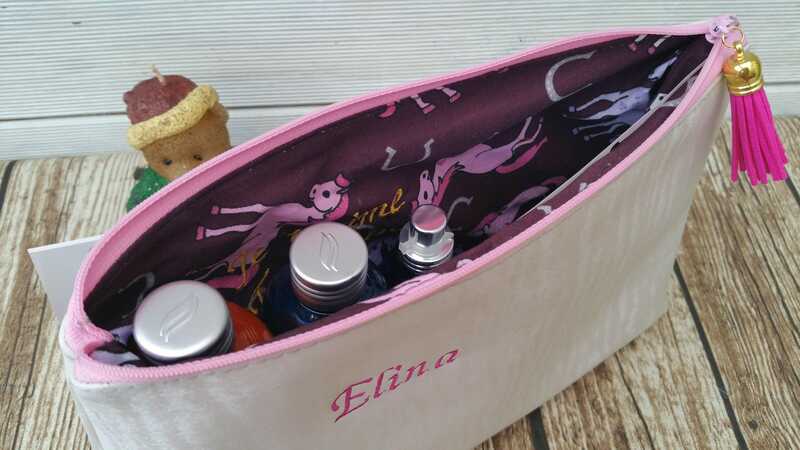 It is ideal for storing toiletries Madame and with its resistant faux leather coating it can accompany him during his travels. You can also store your medicines.